Texas Hospice Fraud Defense Attorneys - Oberheiden, P.C. The majority of Medicare patients pass away while under the care of hospice providers. Consequently, the federal government focuses substantial energy on investigating and prosecuting healthcare fraud cases involving hospices. In recent years, many of the for-profit hospices in East Texas communities have been scrutinized for fraud by various federal agencies. Hospice Care Explained. The purpose of hospice care is to provide comfort for patients whose life expectancy is less than six months. Medicare covers a variety of hospice services for terminally ill patients, including nursing, home care, and medical, psychological, emotional, social, and spiritual treatments designed to keep terminally ill patients as comfortable as possible for the remainder of their lives. Generally speaking, hospice care only entails palliative care for the symptoms, as opposed to treatment of the underlying disease. The frequency and scope of such care is planned by an interdisciplinary team that may involve the primary care physician as well as other medical experts. Hospice Fraud. Hospice fraud charges often center on allegations that the patient did not suffer from a terminal illness or had longer than six months to live, and that either no physician’s certification was received or that the certification was falsified. As it is impossible to predict exactly how much longer a patient will live, the laws do not hold hospices accountable merely because a patient does not actually die within six months. As long as the certificate of life expectancy was made in good faith at the time it was issued and in accordance with sound medical judgment, no fraud is deemed to have occurred. However, fraud may be alleged if the patient’s condition improved but they were not discharged by the hospice. Medically Unnecessary Services. Fraud investigators may also review hospice care providers with an eye for prescriptions for redundant or unnecessary equipment or medication. Specifically regarding hospice care, government investigators may inquire into whether newly ordered medical supplies and equipment, such as wheelchairs, were actually needed. Likewise, government agencies monitor hospices for overutilization of prescriptions. Problems often arise in cases where it is unclear whether a particular medicine was prescribed for pain, symptom management, or disease treatment. OIG Investigations. 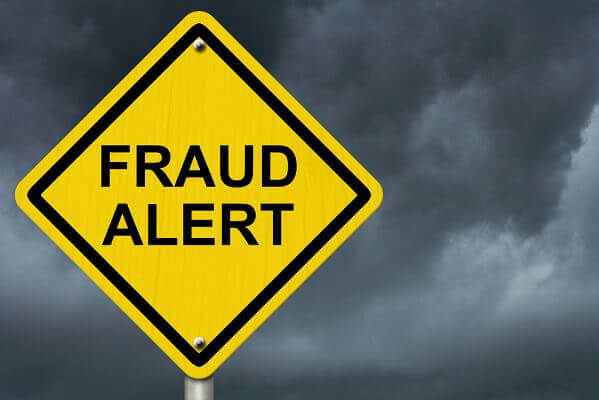 In recent years, the Office of the Investigator General (OIG) has been very active in East Texas in its investigations into healthcare fraud within the hospice industry. These investigations target not only the hospice centers themselves, but also related physician practices, such as referring family practitioners, as well as any involved staff members, including nurse practitioners, nurses, and certifying physicians. As soon as a government investigator identifies suspicious activity by any such health care provider, the OIG will issue subpoenas ordering the production of a variety of relevant documentation, including medical files, corporate documents, and internal e-mail communications. Moreover, the OIG investigators often go so far as to pay unannounced visits to both patients’ families and healthcare employees for interviews intended to corroborate the data from the analytics. If any of these events occur, you should immediately contact our experienced defense counsel. If you have been contacted by law enforcement regarding your hospice care practice, you should immediately consult an experienced lawyer to limit your exposure to criminal charges. Such contact may be in the form of a payment stop, an interview requests, or a subpoena. 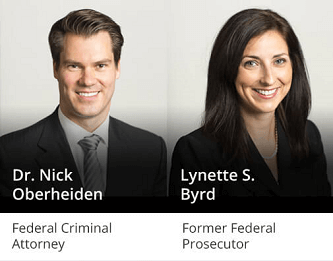 The experienced attorneys at Oberheiden, P.C. are available 24 hours a day, seven days a week for a free and confidential consultation regarding your matter. Hospice fraud, like any type of healthcare fraud, constitutes a felony and carries with it a maximum federal sentence of ten years in prison for each count. Therefore, if you are accused of having certified five patients incorrectly with the intent to defraud Medicare, the government is able to charge you for five separate counts of healthcare fraud, thus extending your potential exposure to fifty years in prison. While this may be unusual in other parts of the country, this practice of accumulated sentences is far from unusual in federal courts in East Texas. If you have reason to think you are under investigation for hospice fraud, call the experienced defense counsel and former federal healthcare prosecutors at Oberheiden, P.C. immediately to discuss your situation.